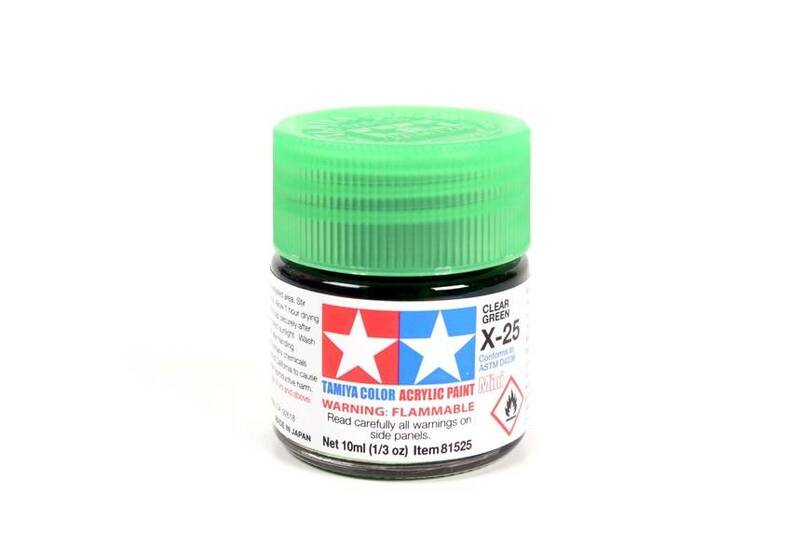 This is a 1/3 oz (10ml) "Mini" glass jar of X25 Acrylic Paint from Tamiya. 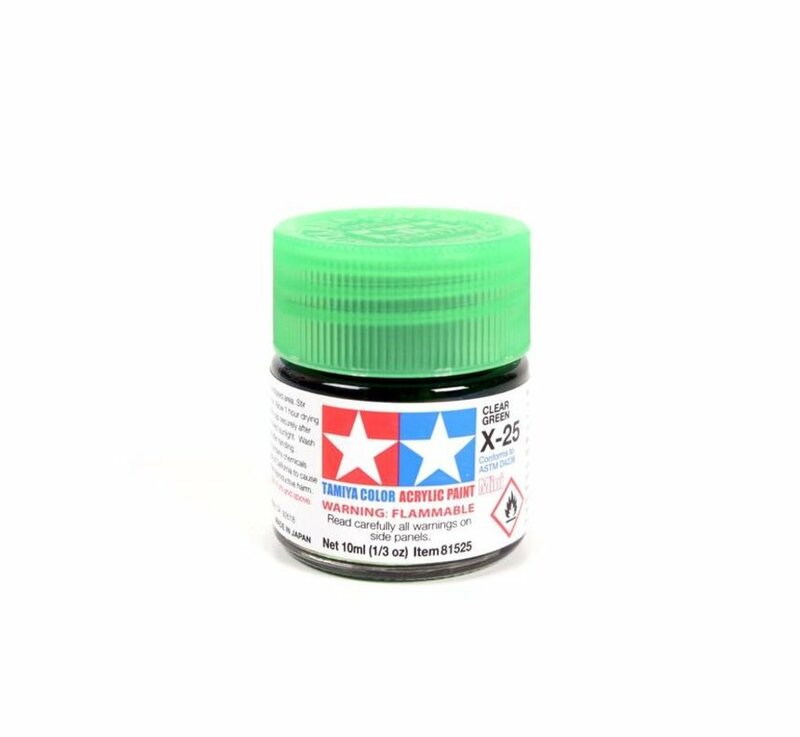 INCLUDES: One Mini 1/3 oz (10ml) jar of Acrylic Clear Green paint. REQUIRES: Paint Brush or Airbrush to apply to model. Eye, Lung and Skin protection. Acrylic Thinner TAMR1520 or water to clean up be for it cures.